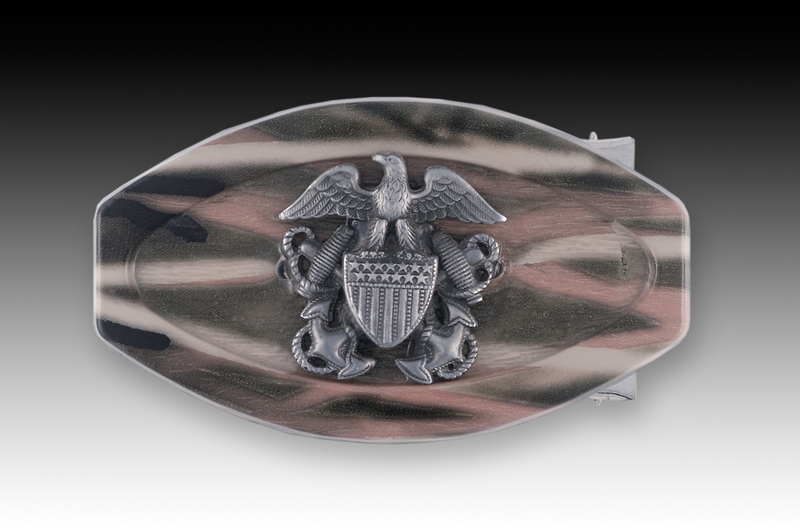 M15: style design cast heavy weight military style belt buckle shown with camouflage process and Military crest emblem design. *other emblems available for this buckle. Click below for pricing. USA! M15: Men's heavyweight cast camouflage belt buckle (Oval, 1 3/4" x 3"). QUALITY GUARANTEED! 100% MADE IN USA!